Within one year after its introduction, the Fodder Production Index for monitoring grass production is already being used by most of the insurance companies. Developed by Airbus based on its long experience in the agricultural sector it allows estimation and compensation, if applicable, without a site visit by an expert. 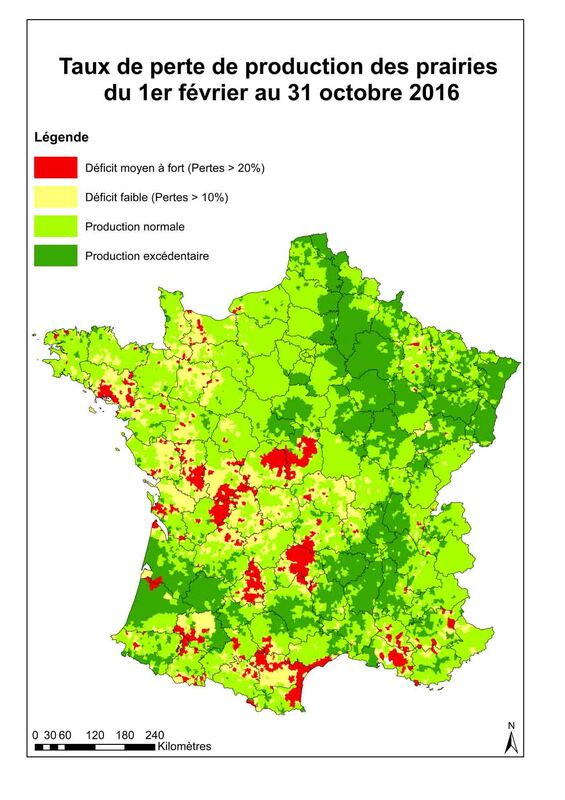 The Index derived from satellite images, approved by the French Ministry for Agriculture in late 2015, offers a reliable and objective estimate of pasture production losses caused by climatic events. Welcomed by insurance companies and farmers, it currently is in use on 107,000 hectares covered by 1,400 contracts. Pastures, which are particularly susceptible to climate hazards, can threaten the economic equilibrium of livestock farms. In the event of a shortfall in grass production, the farmer must buy forage or sell animals. For fodder, traditional insurance techniques cannot be applied: the specific nature of the pasture production cycle and the fact that the fodder is consumed on-farm make it complex to carry out a traditional assessment of production. The Airbus Fodder Production Index, based on the use of a series of satellite images taken every 10 days, allows monitoring grass production throughout the growing season. It relies on a broad historical benchmark from 2003 to objectively estimate production excesses or losses. A monthly and annual production database was thus created, the main purpose of which is to identify the exceptional years or define a multi-year average, constituting the benchmark for determining shortfalls. The use of this index in an insurance product has been validated by a committee of scientific experts under the aegis of the French Ministry of Agriculture.